8” Brown Tie-Up Internal Met-Guard. Vibram© Outsole Dryz® Insole. The #30572 is an 8” tie-up internal met-guard relying on the “Armadillo” tempered steel hinged internal guard for maximum protection of toes and the top of the foot. 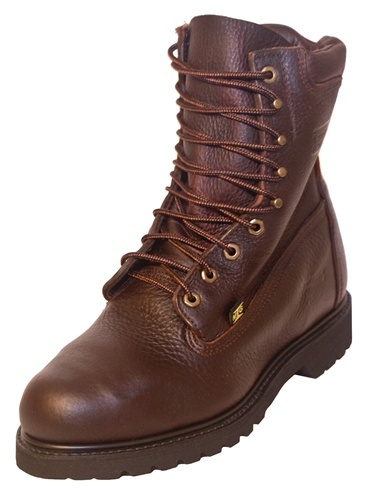 Better protection than plastic against both melting and severe cutting from sharp objects and molten metal, the “Armadillo” met-guard coupled with the dense Vibram rubber outsole makes for a very safe boot. Goodyear welt construction. 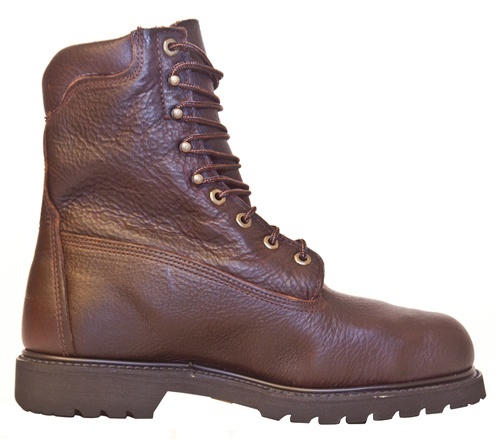 The #30572is an 8” tie-up internal met-guard relying on the “Armadillo” tempered steel hinged internal guard for maximum protection of toes and the top of the foot. Better protection than plastic against both melting and severe cutting from sharp objects and molten metal, the “Armadillo” met-guard coupled with the dense Vibram rubber outsole makes for a very safe boot.